Lightning Bolt is a fastener manufacturer and premiere supplier of Anchor Bolts in many different styles and materials. The ASTM specification specifies these grade by their yield strength. Therefore a grade 36 anchor bolt has a yield strength of 36ksi, a grade 55 anchor bolt has a yield strength of 55ksi, and a grade 105 anchor bolt has a yield strength of 105ksi. Yield strength is the amount of force that causes the metal to permanently deform. Lightning Bolt is a fastener manufacturer and premiere supplier of Anchor Bolts in many different styles and materials. F1554 anchor bolts are commonly used during civil construction for commercial and industrial projects. Applications include: light & metal poles, commercial buildings, & anchoring structural steel to foundations. Color coding anchor bolts with Blue (Gr 36), Yellow (Gr 55), and Red (Gr 105) allows for easy identification. Within the specification it specifies that the supplier can substitute grade 55 (weldable) for grade 36 at their own discretion. S1 Requires that the grade 55 material supplied is weldable. S4 Requires Charpy impact testing +/- 40F for grade 55 % 105. Lightning Bolt can manufacturer any size of anchor bolt needed for your project. Including similar items such as anchor cages and even barrier pins. Depending on its use, the thread length on the anchor bolt and the overall length of the bolt can vary from as small as 4 inches to 39 inches and more. When it comes to the most frequently used anchor bolt, the most common size is 5/8 of an inch thick and 12 inches long. Engineering specs will identify exactly what size anchor bolts are recommended for the job so check those carefully. Smaller anchor bolts, such as wedge anchors and drop in anchors are a staple in every toolbox when working with concrete material. Although anchor bolts may be used in other building and structural materials, it is definitely the first bolt to reach for when a concrete structure requires anchoring. One of the most common is the L-shaped hook anchor bolt, also known as a 90-degree anchor bolt. It comes with a bend or hook on one end to resist pull and safely secure two objects together. The hook is bent toward the unthreaded end and is used as a concrete fixing tool at varying tensile strengths. Installation of an L-shaped anchor bolt occurs while or before you pour concrete, such as when you are pouring a foundation. The threaded end of the L-shape bolt is attached to a framing plate and secured with a nut. If the nut was to be removed or the framing plate shifts, the angle of the bolt will provide resistance to hold the concrete slab in place. If you happen to need a single anchor bolt or a truckload of them, check out the selection available at Lighting Bolt & Supply today! Why Lightning Bolt for anchor bolts? 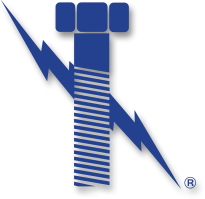 So, regardless if your application is pulp & paper, chemical, Oil & Gas, or Power Generation, email sales@lightningboltandsupply.com Lightning Bolt for all of your anchor bolt needs.